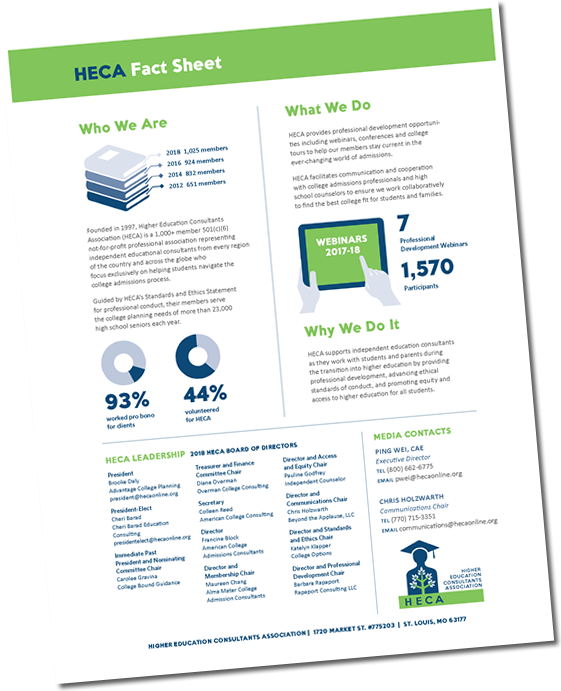 Founded in 1997, Higher Education Consultants Association (HECA) is a 1,000+ member 501(c)(6) not-for-profit professional association representing independent educational consultants from every region of the country and across the globe who focus exclusively on helping students navigate the college admissions process. Guided by HECA’s Standards and Ethics Statement for professional conduct, their members serve the college planning needs of more than 23,000 high school seniors each year. Many of HECA members also assist low-income students through pro-bono advice and volunteer service to nonprofit organizations and local schools. 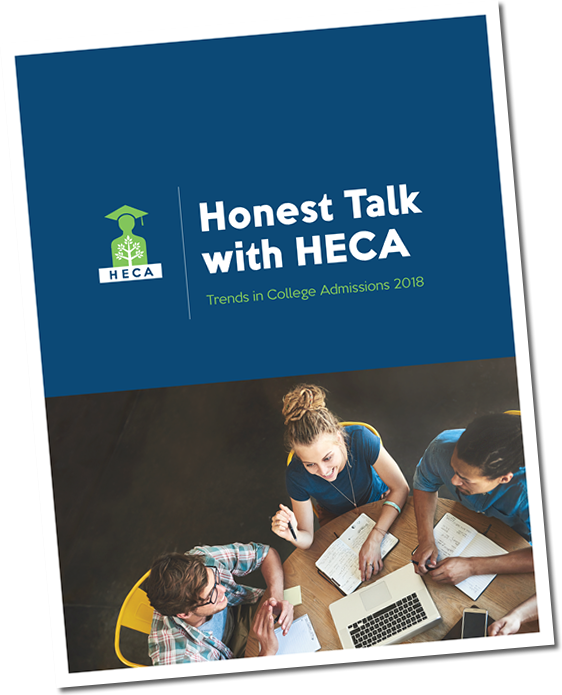 HECA members are experts on the college admissions process and have a first-hand perspective on the many different challenges and decisions that students and families face. From college affordability and financial aid, to assisting traditionally underserved students and campus safety, our members are great sources for what is happening today in the college decision-making process. HECA Community Representatives are available to share their expertise. Learn about college admissions counseling from the very best in the field—HECA members. 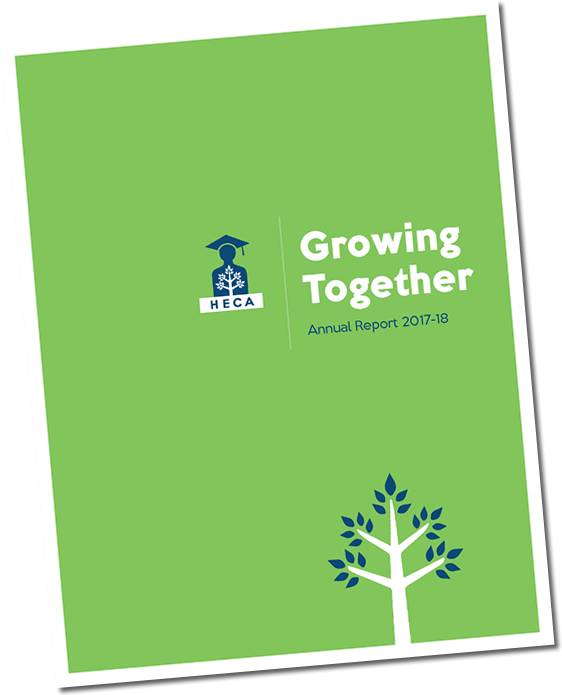 A look back at the roots of HECA and its rapid growth in membership and influence. Our rigorous professional standards set us apart. Discover why working with a HECA consultant matters. elected annually. Meet this year’s leaders.